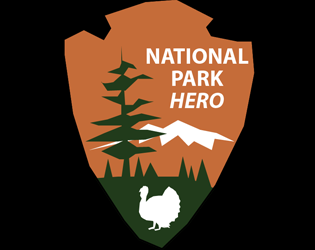 National Park Hero is a small game created in 8 days for #resistJam. Inspired by the Alt Parks movement, you play a park ranger who is trying to inform and sway diverse visitors (some of whom are not favorable to you). You gather followers to your social media account, which accounts for the score at the end of the game. Please use 800x600 resolution and windowed mode. Download and unzip. Run NPH.exe in 800x600 resolution and windowed mode.